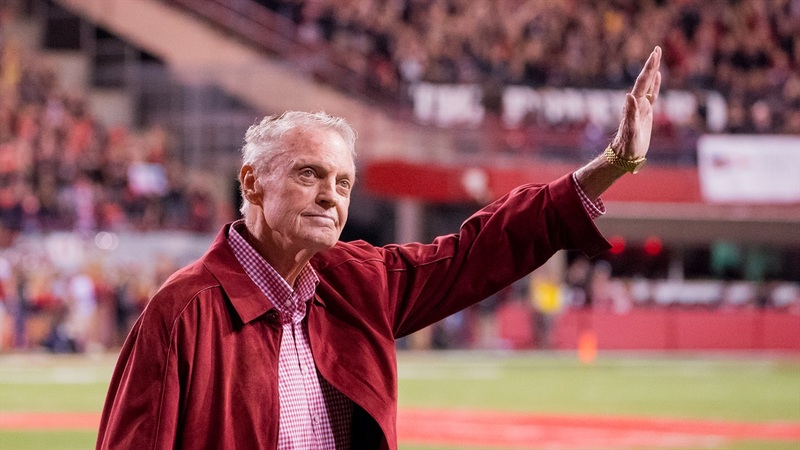 Nebraska announced a heavy-hitting 2018 Hall of Fame class Monday, including a former Heisman Trophy winner and two legendary coaches. Mike Rozier, Tom Osborne and Bob Devaney headline the Nebraska Athletics Hall of Fame Class of 2018, which also includes Darin Erstad (baseball, 1993-95; football, 1994, current head baseball coach), Peaches James (softball, 2001-04), Sarah Pavan (volleyball, 2004-07), Mike Rozier (football, 1981-83) and Tom Schlesinger (men’s gymnastics, 1985-88). Devaney and Osborne, both of whom also served as the school’s athletic director from 1967-92 and 2007-12, respectively, will become the first head coaches inducted into the Nebraska Hall of Fame. Pavan: the only individual in NCAA history to be a two-time national Academic All-American of the Year, one of only five volleyball players in NCAA history to be a four-time first-team All-American. The 2018 class will be inducted into the Nebraska Athletic Hall of Fame on Friday, Sept. 7, before being recognized during the Colorado game on Saturday, Sept. 8.